The updated 2017 Maruti Suzuki S-Cross has gone through a major cosmetic makeover and will feature a host of styling upgrades and features adding to its premium quotient. 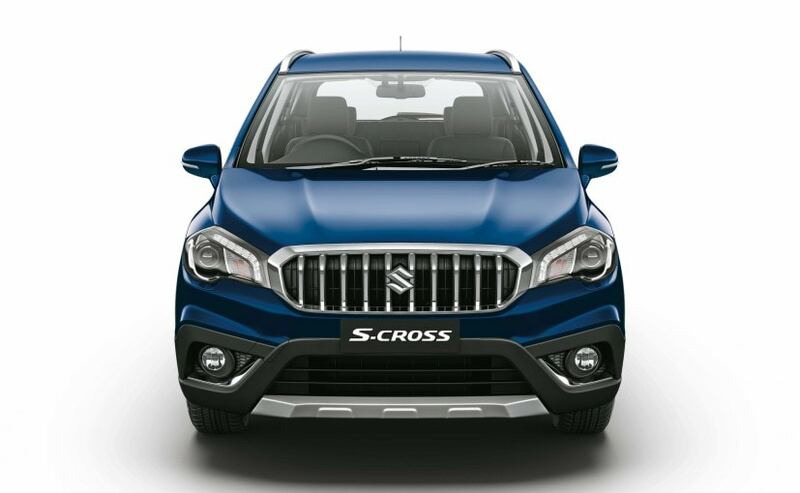 The 2017 Maruti Suzuki S-Cross facelift is all set to go on sale in India on September 28 and bookings for the crossover has already commenced. The updated S-Cross has gone through a major cosmetic makeover and will feature a host of styling upgrades and features adding to its premium quotient. While Maruti Suzuki India has been tight-lipped about the new S-Cross facelift, we already know substantial details about the car and we also know what to expect with regards to visual upgrades. Here are some of the key features offered on the 2017 Maruti Suzuki S-Cross facelift. 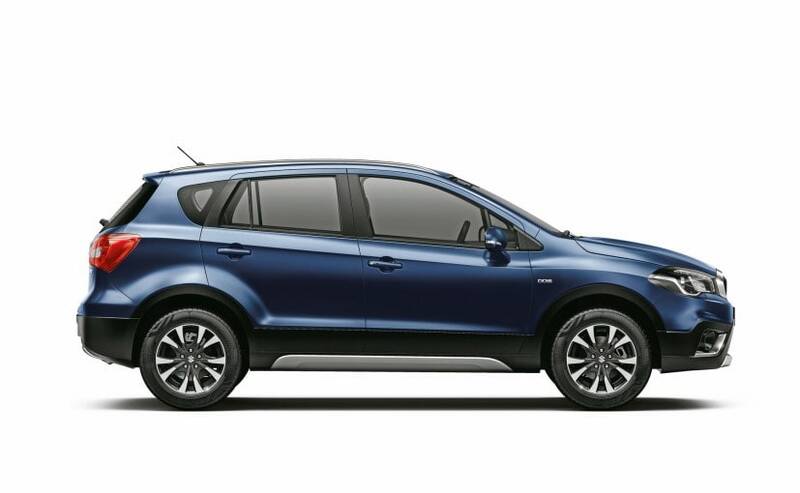 The new Maruti Suzuki S-Cross facelift comes with a bunch of new styling upgrades like the all-new 10-slat chrome grille, a muscular bonnet and front bumper with beefy plastic cladding, a faux skid plate, wide central air dam. Towards the sides, you'll see that the updated S-Cross comes with slightly flared wheel arches, a prominent shoulder line, and underbody plastic cladding to emphasise the crossover-SUV touch. The rear has also gone through some considerable cosmetic changes like a new tailgate with sculpted lines, a small roof-mounted spoiler with integrated brake lights, and a new bumper with extensive plastic cladding and a silver skid plate. The exterior of the S-Cross facelift comes with several changes with regards to features and equipment like - new projector headlamps with a smoked effect and LED daytime running lamps, new foglamps, revised outside rear-view mirrors with integrated turn signal lights. The updated S-Cross also comes with wider 215/60 R16 tyres and new alloy wheel design too with a dual-tone finish, silver roof rails, and new LED taillights with re-arranged brake lights. 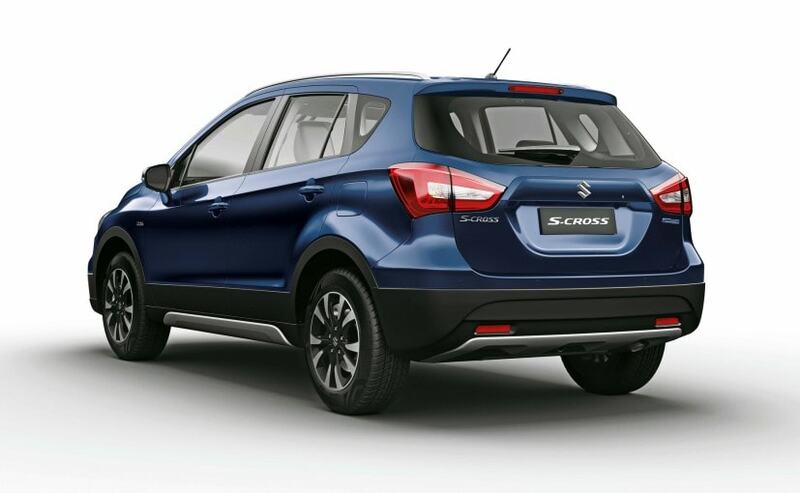 Changes made to the Maruti Suzuki S-Cross facelift's cabin are minimal but add an upmarket feel to it. The revised dashboard comes with a new satin chrome finish and soft-touch materials, while the centre console gets a piano black finish. The upholstery has also been reworked upon and updated S-Cross comes with a new design for the seats now and you get a leather finished armrest. Other comfort features will include - automatic climate control, keyless entry with push start-stop button and rear armrest with cup holders. On the feature front, the Maruti's signature touchscreen infotainment system has been retained on the model and comes equipped with Apple CarPlay as well as Android Auto, like most of the carmaker's latest models. The system also doubles up as the display for the rear parking camera. Among safety features we have, ABS with EBD, driver and front passenger airbags and ISOFIX child seat mounts as standard and other features like parking sensors, seatbelts with pre-tensioner and more. Under the hood, the new S-Cross facelift is now available only with the 1.3-litre diesel engine. The 1.3-litre engine, badged as the DDiS 200, now comes with the company's Smart Hybrid from Suzuki (SHVS) technology, which includes idle-stop start, torque assist, brake energy regeneration system and a gearshift indicator. Power figures are expected to remain unchanged at 89 bhp and 200 Nm of peak torque, while the transmission duties will be handled by a 5-speed manual gearbox as standard and as of now, there is no word of an automatic option. Sadly, the Fiat-sourced 1.6-litre diesel engine has been discontinued from the line-up.